The latest Team Fortress 2 update fixes a bug that apparently went unnoticed by developer Valve for nearly 10 years. The bug, as spotted by YouTuber Nicknine and Reddit user Sigsegv, was a strange one. The pair say that if you were to join a server and choose one of the Scout, Heavy, or Sniper classes, then switch to any of Soldier, Pyro, Demoman, Engineer, Medic, or Spy, then some weird things would happen to your character's hitboxes. Essentially, the shape and position of your body on screen would be different to what the server--and other players--saw, leading to some frustrating deaths where you might think you were out of sight, but to other players you were visible (and shootable). Nicknine claims the issue has been present in the game since launch in October 2007. In any case, the latest patch fixes "an animation bug that would cause the client and server hitboxes to become out of sync," so hopefully that's the last we'll hear of it. Take a look at the issue, pre-patch, in action below. Valve recently confirmed it has made a working VR version of Team Fortress, though "there was absolutely nothing compelling about it," according to the company's president, Gabe Newell. Team Fortress 2 continues to perform well, meanwhile. Nearly 10 years after release, the sequel is still the third most-played game on Steam in terms of players per hour, according to a recent report. 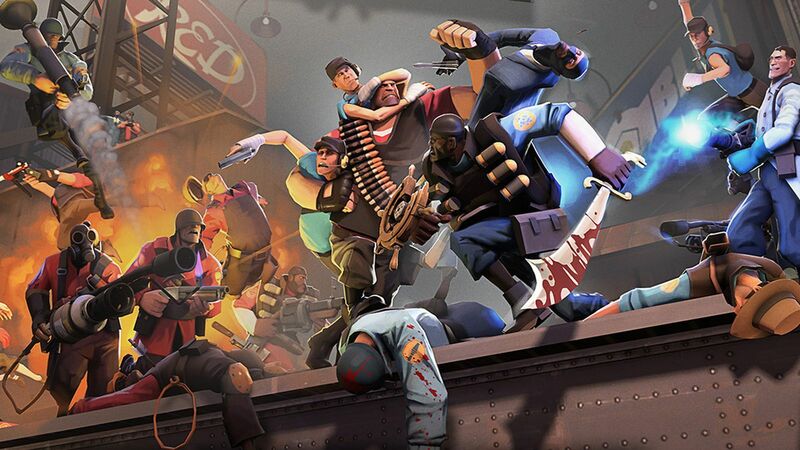 If you want to see what we thought of the game all the way back in 2007, check out GameSpot's Team Fortress 2 review.